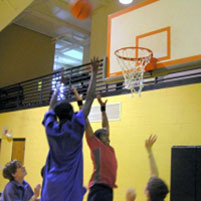 As part of the Computer+Sports option, campers may play tennis, basketball, and soccer. Availabilty of sports depends on camp location and on enrollment. In addition, optional recreation such as swimming (may not be available at some locations and there may be an extra charge), ultimate frisbee, capture the flag, and kickball is available to all campers. 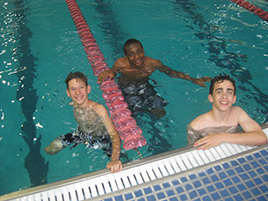 The computer room is open during optional recreational periods. Each week campers may participate in chess, checkers, Connect Four and rock, paper and scissors tournaments as well as daily computer network game tournaments.